To cancel a booking and what happens if the Bruce Road is closed. Other useful booking-related information such as keys, transport, trip leaders. Download a printable copy of the Serac_2018 Booking_Procedures (Word document 73kb) containing all this information. Bookings may be made via Serac’s website booking form (preferred), email or by phone and are ranked in order of receipt. Bookings will be considered received when they are received/picked up by the Administration Officer. The 0800 phone number ends in an automatic answer service; and Mike is alerted by text when a message is left. Bookings may be refused by the Administration Officer if there are unpaid subscriptions, bunk fees, or work party levies. The Administration Officer must be informed in advance by email, phone or voice mail of the booking and intention to stay at a lodge. If confirmation has not been received from the Administration Officer, then the Member can also contact the Trip Leader and Lodge to check availability. In the event that a booking has not been confirmed by the Administration Officer, then the Member rather than Serac is responsible for ensuring they have suitable accommodation. At the weekend, priority booking and confirmation is given when both Friday and Saturday nights are booked (or Saturday and Sunday). Bookings may be taken for one night only (e.g. Saturday), but only at lesser priority than two night bookings (i.e. Friday and Saturday or Saturday and Sunday). Fees include breakfast and dinner; duties are to be done. During the winter season, when the lodge is catered, dinner and breakfast are included in the fee. Members and Guests are expected to buy or bring their own lunch. Dinner is not normally provided on the first day of arrival (e.g. Friday night). Members who will arrive by 6.00pm and would like dinner on their first night, must call the lodge by 8.00am on the day of arrival (e.g. Friday) and notify the Trip Leader or a senior member. There are duties to complete each day to cook, clean and keep the lodge in order. People staying at the lodge should volunteer for duties each day, or the Trip Leader will allocate duties until they are all completed. All volunteered and allocated duties must be completed each day with both adults and children expected to undertake age appropriate duties. Payment by internet or phone banking is preferred. Please contact the Administration Officer for internet booking details and Serac’s bank account number (unchanged from previous years). Bookings are ranked by the Administration Officer in the order they are received. The Administration Officer has discretion when ranking and confirming bookings to consider in the first instance the safety of all Members and Guests. Bunk fees are payable in advance. No booking will be confirmed fully until payment is received. Any booking that remains unpaid after 9pm on the Monday preceding the trip will lose priority and confirmation. Youth, Junior, and Child members (i.e. those under 18) must be accompanied by a Senior adult member (i.e. a family member, or their care giver), and may only book Guests into the lodge through that Senior member. Guests must be accompanied by a Senior member; usually the Senior member making the booking. Where one or more non-members, is seeking to book into the lodge (and has no association with a Senior member), a Senior member must act as the lodge custodian for the duration of their stay. Those non-members must pay for the Senior member’s return transportation costs and cover their bunk night fees. To make it easier for members to bring their friends as guests on weekends and school holidays we have relaxed the restriction on only confirming guest bookings four days in advance. 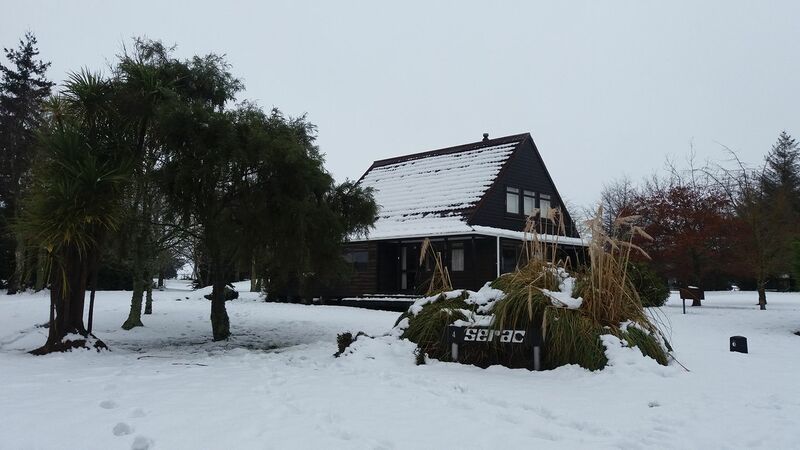 Up to five guests / special members may be booked and confirmed in advance at Whakapapa lodge each night (four at Ohakune). Guest / special fees must be paid on booking and become fully non-refundable two weeks prior to the arrival date. Once five guest / special member spaces at Whakapapa (four for Ohakune) have been confirmed, on any given weekend or school holiday night, further guest / special member bookings will be waitlisted and only be confirmed, space allowing, at 9pm four full days prior to arrival. For Sunday – Thursday night bookings (outside of school holidays) there is capability to confirm a greater number of guests / special members on each night due to low mid-week usage at the lodges. All guest bookings are subject to the discretion of the booking officer. The booking officer will also ensure that there is a sufficient ratio of members to guests and adults to children to maintain the safe and comfortable operation of the lodges. Members taking part in ski racing events or extended racing and instruction classes will be given limited booking priority. The dates of races are usually given in Club Newsletters. This priority will cease two weeks prior to the event. If you are participating in racing events or extended racing and instruction classes, please advise the Administration Officer at the time of booking. Failure to do so may result in your booking being delayed or losing priority. Senior Members may make a booking during the North Island Primary and Secondary School Races, for Members and their Guests, for up to half of the total beds at any one lodge (with the remaining beds available for members not involved in such racing). Bookings may be made for persons directly involved with the racing and for care-givers. The Administration Officer will give consideration of the safety and comfort of all persons at the lodge ahead of confirming bookings, including the number of Senior Members.